Ok, so there's not actually anything Friday the 13th-related included in this post, but I thought I would highlight the date anyhow since we only get a few each year. Hope you enjoy my favorites from the week and that you all have a great weekend! Despite the fact that I am lactose intolerant (TMI?) this was my favorite dessert recipe discovery of the week - Tres Leches Cupcakes from How Sweet It Is. Yum, yum, yum! My favorite savory recipe discovery of the week also goes to How Sweet It Is for her Thai Chicken Enchiladas. I love when the best of several worlds come together into one delightful meal. I can't wait to test this out in the next few weeks! Here are a few of my favorite styles of the week. Speaking of mint...oh, we weren't? 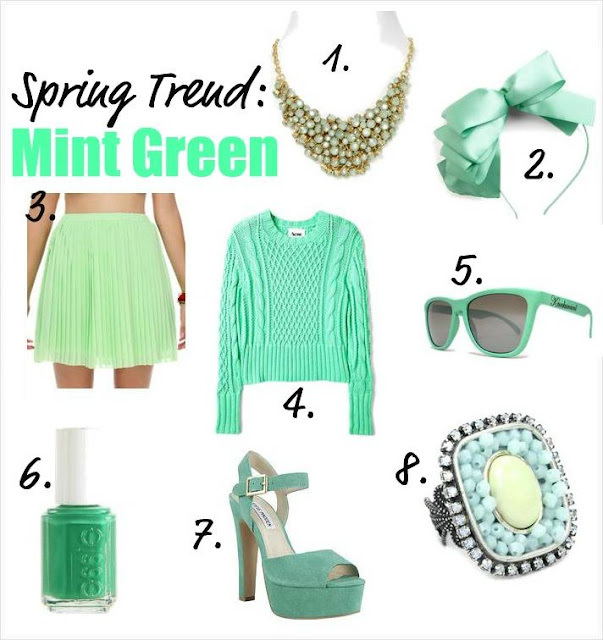 Well anyhow, the last outfit above leads to my favorite color of the week, and of the season - mint green. It's everywhere! (and if someone can recommend a pair of minty green pants to me, I will be forever grateful). 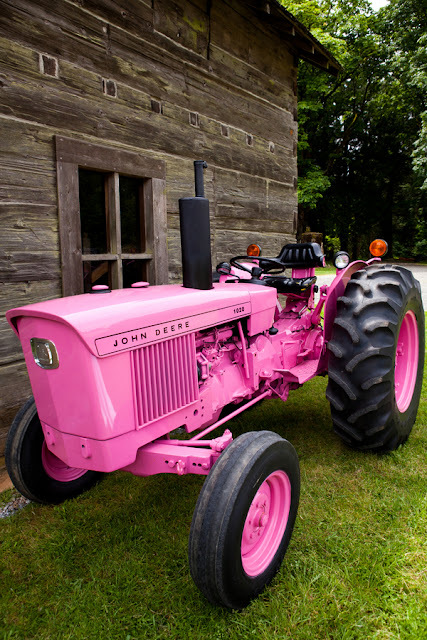 Then, next thing you know I will own a favorite pink tractor. How awesome is this? 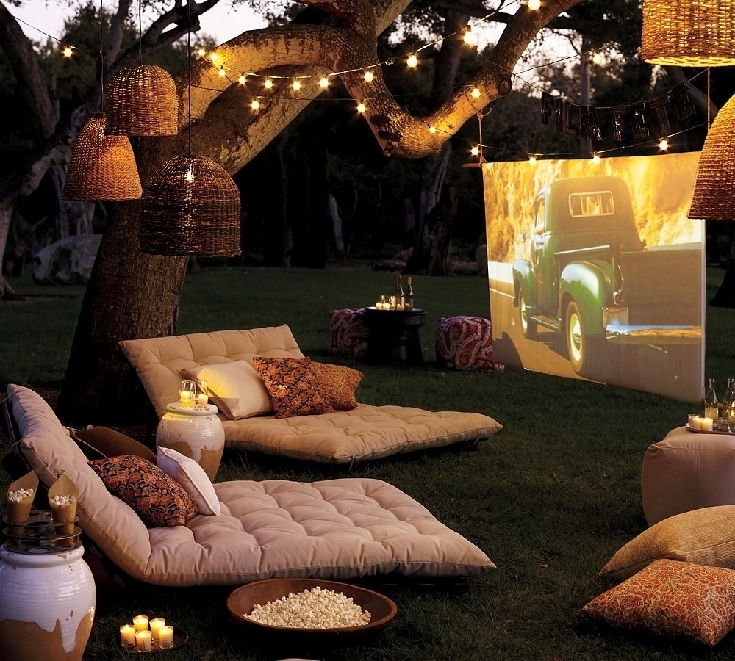 My favorite crafty idea goes to this much lovelier take on Screen on the Green. Sorry, but the National Mall's got nothing on this. This is my favorite future destination of the week. Wherever this is in Texas' Hidden Hill Country, I want to be there, relaxing with my family and friends in my kayak. This is my favorite quote of the week. 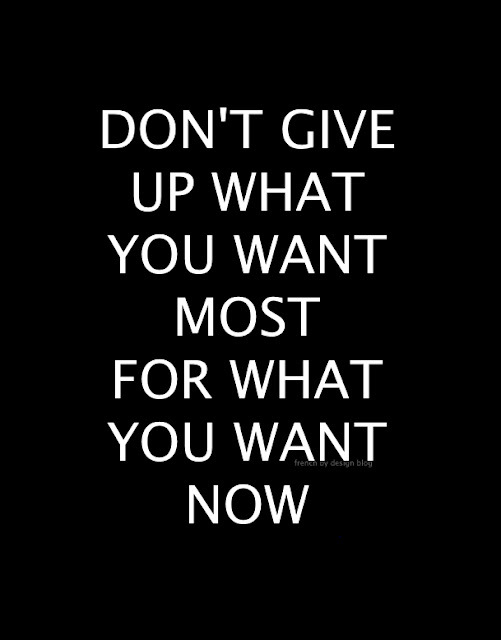 I am going to keep this in mind every time I am tempted to purchase something at J.Crew when I want to eventually own a house :-). My favorite song to run to this week is Wild Ones by Flo Rida, featuring Sia. It's super catchy and it's a great song to listen to as motivation to finish the last mile of a long training run. Ok, I lied before. I have just one Friday the 13th favorite. My favorite "scary" photo of the week goes to Tony Romo, Candice Crawford and their new son Hawkins (thanks Laura M.). It's not Hawkins' fault, but that look frightens me a bit. that pink tractor is awesome enough to make this city girl want a farm! I am with you! So fun. Have a great weekend Andi! Oh my goodness! I am loving the "screen on the green" idea. That looks so fun! Also....I featured your cookies and cream brownies on my High Five for Friday post yesterday. I made them and they were AMAZING! Thanks so much for sharing the recipe! 1) Aww, thanks girl for including me in your favorite looks here! Totally made my day! mint green seems like the colour for spring!